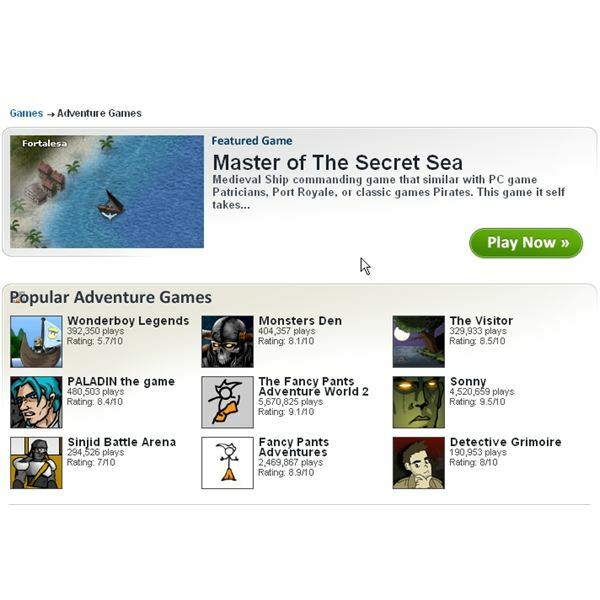 Online Flash games can be easily found on the internet. However, there are few such websites that offer the best flash games of your choice. 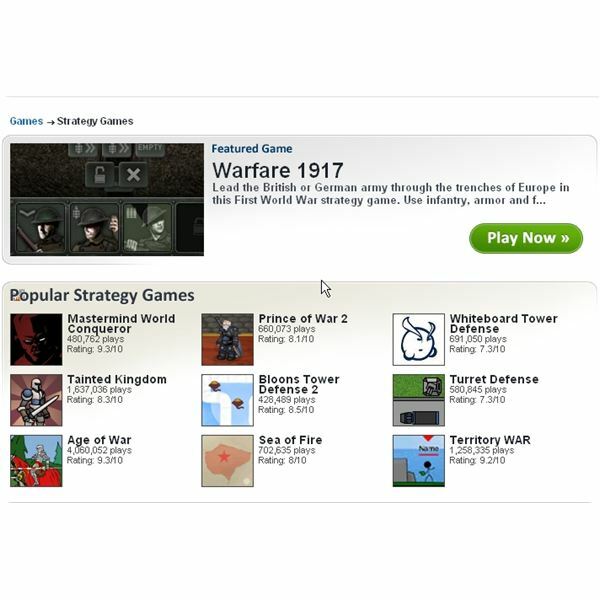 Armorgames.com is one of the few exclusive portals for flash games online. 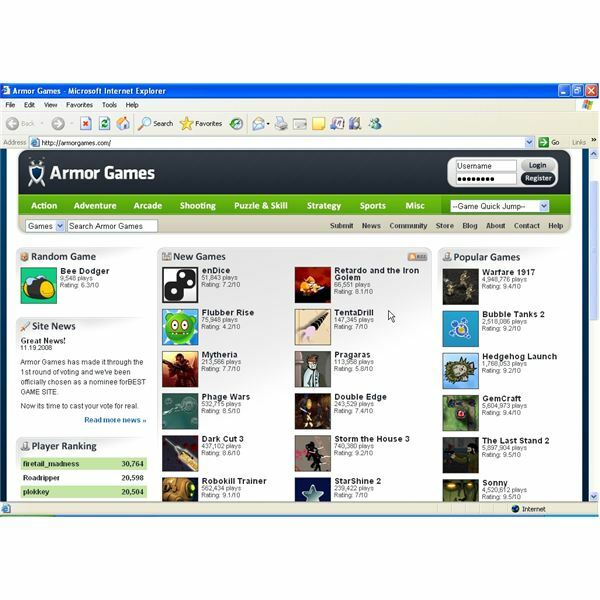 With an investment of over $300,000 for developing addictive flash games, Armorgames has evolved into a major gaming portal ever since 2004. The best aspect of Armorgames.com is its simplicity, selectiveness, and quality. It has a huge collection of Flash games for all ages. Currently it houses over 500 games. These games are of different genres and styles, but all of them are original. Moreover, Armorgames are also hosted by a number of other sites and are played by millions of players world-wide. Armorgames has eight major categories to choose from. These include Arcade, Shooting games, Strategy, Sports, Puzzles and skills and a miscellaneous section. Since there is a huge list of random games, players may get lost and confused. To solve this problem, every category has a ‘featured game’ section which shows the most played and unique games on the site. This helps players to play popular games. You will also notice a statistic table below every game. The ‘Game Stats’ table shows the average rating, number of game plays and also a list of gamers who have added the game in their favorites. There is also a section which briefly explains the goals and controls of the game. There are lots of games including Microbe Combat, Straw Hat Samurai, MAD, and Dark Cut in the action games section. Mercenaries 2-World Nearly in Flames, is an entertaining Flash game which tries to mimic the original Mercenaries game. Adventure section includes popular games like Detective Grimoire, Paladin and Sonny. These games have been played by more than 2 million gamers worldwide. Compared to Action and Adventure section, Strategy and Sports section have few games. Gamers will find Age of War, Mastermind World Conqueror, Sea of Fire and Prince of War hard to resist. Games like Motocross FMX, Xtreme Cliff Diving, Snowboard stunts will certainly keep lovers of adventure sports busy. It is quite a unique idea to include a sticker and toy store in an online gaming website, But Armorgames does have a future plan of an online shopping store. Currently, the store has few stickers and toys including a revamped ball, and some cool vinyl stickers. Armorgames.com is one of the best online Flash gaming websites on the internet. With a huge number of popular and high quality games, it certainly means business. Brouzoufs or Bust: E.Y.E. – Divine Cybermancy Review.